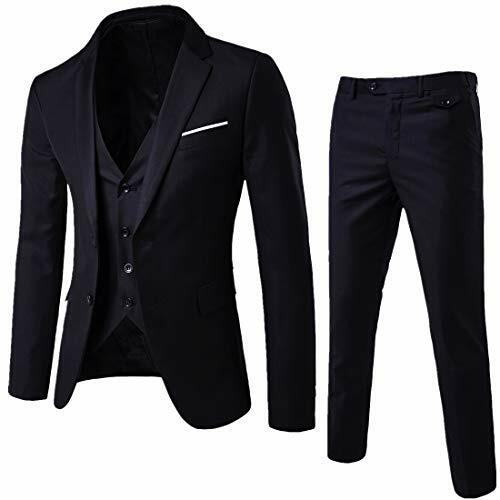 Suits Material:80% Polyester,20% Viscose,With this percentage of material,the suits will be very Smooth,Soft and Easy to Wash. 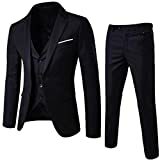 These suits will satisfy your wardrobe requirements for many of your scenes,such as work,clients,dates,parties,etc.They will all be more gentlemanly and elegant.Good Gift Choice for your Father,Boyfriend and friends. 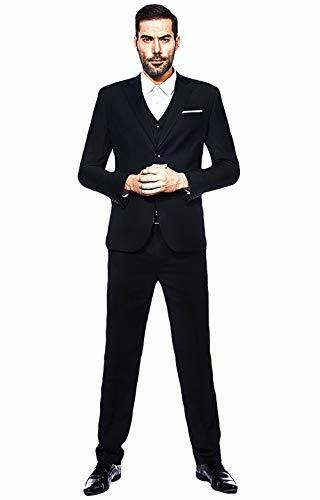 Care Instruction:Dry Clean Recommended,Low Iron before you wear it If Necessary,Hang on the suit when you do not wear it. 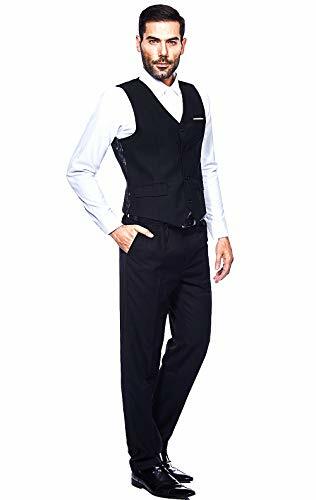 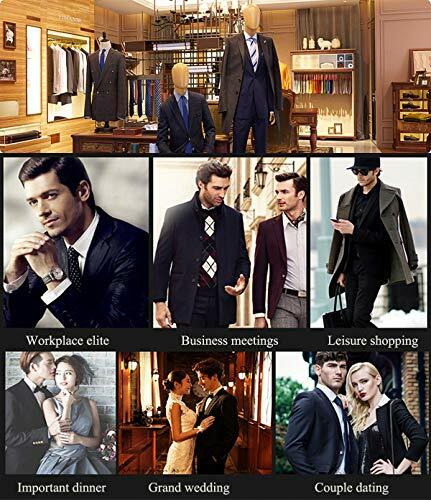 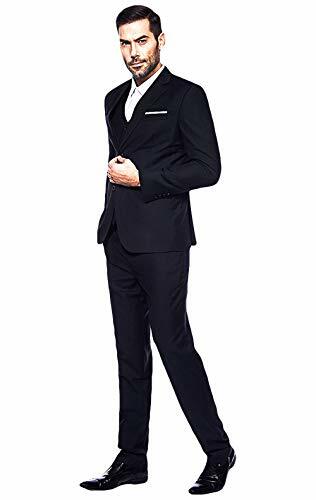 Men's Suits Slim Fit Solid 3-Piece Suit Blazer Two Button Formal Tuxedo Business Wedding Party Jacket Pants Vest Set Blazers. 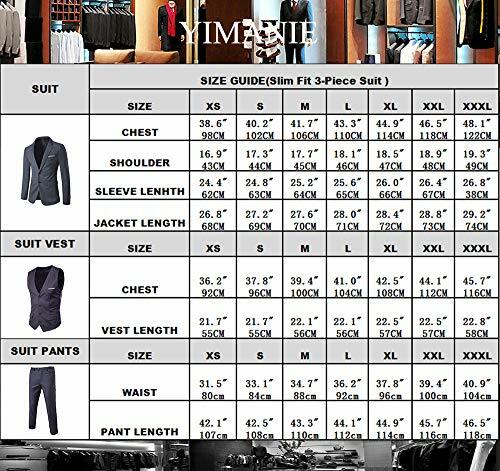 Please refer the size to the size chart image above,If you are not sure about size,please feel free to email us. 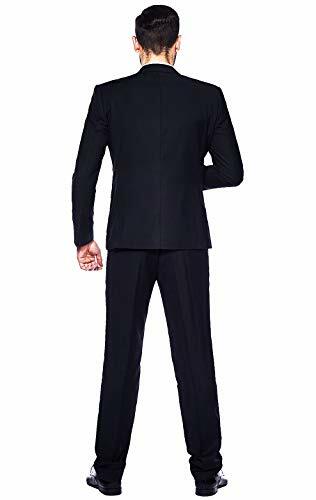 Asian L=US XS :Shoulder width:16.9"--Chest:38.6"--Seleeve lenght:24.4"--Lenght:26.8"
Asian XL=US S :Shoulder width:17.3"--Chest:40.2"--Seleeve lenght:24.8"--Lenght:27.2"
Asian XXL=US M :Shoulder width:17.7"--Chest:41.7"--Seleeve lenght:25.2"--Lenght:27.6"
Asian XXXL=US L :Shoulder width:18.1"--Chest:43.3"--Seleeve lenght:25.6"--Lenght:28.0"
Asian XXXXL=US XL :Shoulder width:18.5"--Chest:44.9"--Seleeve lenght:26.0"--Lenght:28.4"
Asian XXXXXL=US XXL:Shoulder width:18.9"--Chest:46.5"--Seleeve lenght:26.4"--Lenght:28.8"
Asian XXXXXXL=US XXXL:Shoulder width:19.3"--Chest:48.0"--Seleeve lenght:26.8"--Lenght:29.2"